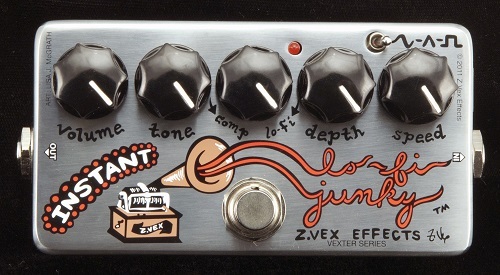 This pedal was designed to emulate the sounds and textures of the Lo-Fi Loop Junky™ in real time, but it goes far beyond that. Click it on and mix your sparkly clear compressed signal with the smashed, lo-fidelity warbled signal and listen to it become a luscious emulsification that can be blended to the most perfect depth. Achieve new haunting chorus sounds and pulsating vibrato. Unusual and fun, you’ve never heard anything quite like it. Dimensions: 4.70" x 2.38" x 1.82"